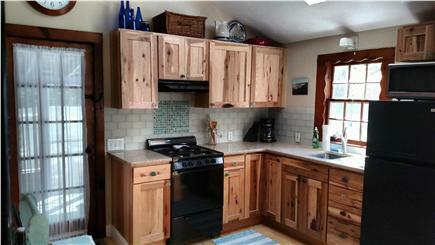 Recently renovated with hardwood floors, new windows and a brand new kitchen! Quartz countertop, new appliances, skylight and drop leaf dinette. 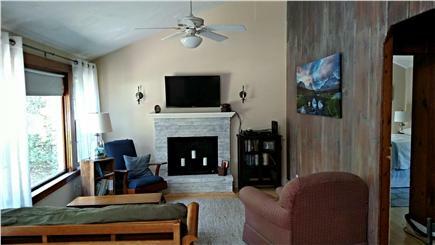 Living room with fireplace, vaulted ceiling, and wireless internet/HD-TV/DVD. Large bedroom with new queen bed and smaller bedroom with 2 new twin beds. Outdoor shower is just the ticket to rinse off after a long day at the beach or just to cool off. The picnic table area with adirondack chairs or the screened in porch with loveseat rocker and 4 seat antique table are perfect for socializing. 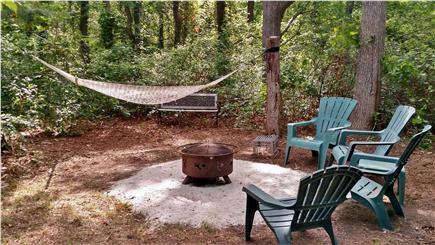 Or, walk down the 80 ft path into the acre of woods to escape the world, read in the hammock or roast some marshmallows around the fire kettle. 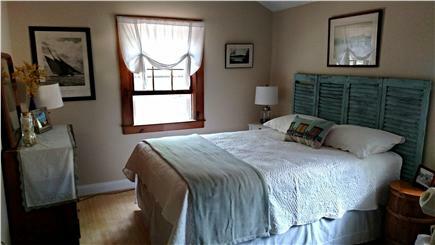 Centrally located in historic Dennis Village, it is a short walk to the playground, Village Green, Dennis Public Market or the Cape Playhouse. About 1 mile to Mayflower and Corporation Beaches and Scargo Lake and less than 2 miles from 2 championship golf courses, Dennis Pines and Dennis Highlands. Additional pricing info: $75/wk discount for multi-week rentals. Repeat tenants at prior year list rate and reduced security. State and local taxes of 12.45% will apply. Glad you found it to your liking right down to the lobster pot. You're all welcome back, including Maverick. Thank you and take care! A hidden gem of a cottage! Thank you, Anne! Glad you enjoyed your stay. It was a pleasure having you and we appreciate you leaving the place spotless since we used it ourselves that weekend!! We really enjoyed our time at this charming cottage. 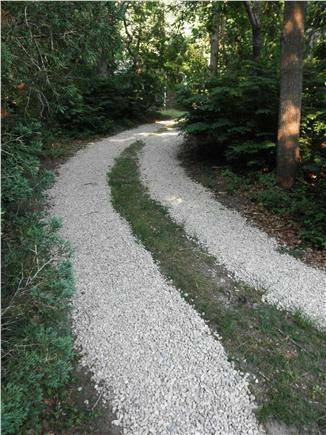 Location is central, yet you get a real sense of privacy driving down the long driveway to this hidden gem. 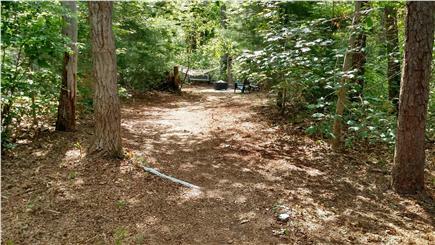 The yard, campfire area and screened in porch are truly special features. The house itself had everything we needed and felt like a home away from home. Glad you enjoyed. Hope you come again! Wonderful cottage in a great area! We absolutely loved our stay at the cottage! It was very clean and well kept. The kitchen was just lovely, and I really loved the natural wood features throughout, especially the big wall in the kitchen/living room. The house was just the right size for what we needed. We loved the screened porch, and the yard was great for playing outside. 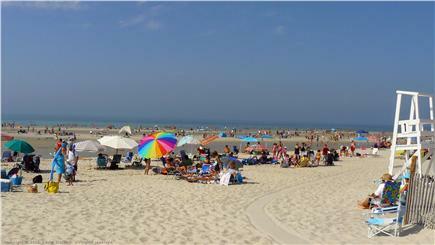 It was very convenient to everywhere we wanted to go, and even better, it is a few minute drive to Mayflower Beach. We spent several nights watching the sunset because we were so close. Thanks, Amanda! Glad you enjoyed it and we hope you come back again. We enjoyed our relaxing stay at this cottage. Dan went above and beyond to welcome us. The cottage was very comfortable for the 2 of us. We enjoyed the peace and quiet yet close to Dennis Public Market and Scargo Lake and a short walk to the beach. We enjoyed the grill and had family over for a cookout. We also enjoyed the fire pit to roast marshmallows. Also enjoyed the hammock to just relax and listen to the birds. Thank you. We hope you come back again. Excellent experience with homeowner, everything listed was correct, would highly recommend. This is the perfect spot for walking down the street for coffee, playground, or dessert. We enjoyed our stay and loved not having to stress out about not getting a parking spot at Mayflower Beach (which fills up at 9:30am). We were able to be dropped off and my husband walked down to join us. We loved the outdoor shower! We loved cooking out and eating in and relaxing in the back yard. My son felt right at home in the cottage. We read the recommendations Dan and Linda left and unplugged enjoying their many board games. 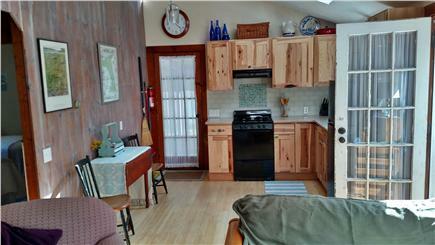 This cottage is so close to everything you need or want. We enjoyed the bandstand in the park, Underground Bakery, Village Donut shop, and a fish market down the road in Yarmouth. We splurged on "The Red Cottage" for dinner ( PLEASE VISIT.) We were totally happy with our stay that we only ate out once for the whole week. Our first morning we woke up to a surprise in the yard .... a flock of wild turkeys! 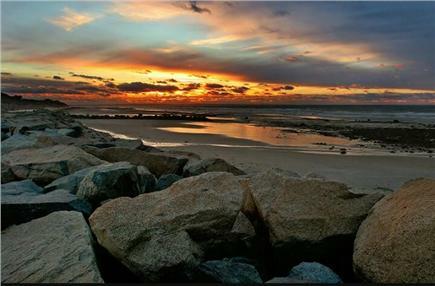 We loved picking up a pizza at Showtime and heading to Mayflower Beach and spending dinner watching the sunset. What a great way for a family to unplug, unwind and recharge. Thanks for the great stay! Our family enjoyed every minute of our stay. We were in walking distance to the Dennis Public Market for coffee & donuts each morning & the cutest little playground for our son to stomp around in each evening. We drove to the beaches & my husband dropped us off. Then he walked back so we never had to worry about beach parking. Easy enough for an adult to walk ( about 35 mins) which was just about the time it took for us to set up our beach camp. The cabin has a great location! The owner, Dan, was always in contact with me. Everything was in perfect working order. I appreciated the beautiful kitchen, wifi, & outdoor shower. It was a great stay on the Cape. We spent a wonderful vacation in this amazing place. I would enthusiastically recommend this well located and lovely Dennis property. 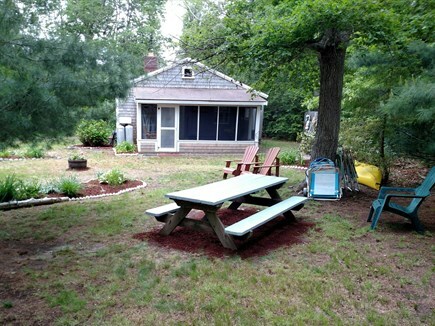 We thoroughly enjoyed our week long stay at Dan & Linda's hideaway cottage in Dennis, MA! We found this property to be incredibly well taken care of. You can really see and appreciate all of the hard work that has gone into the renovations. 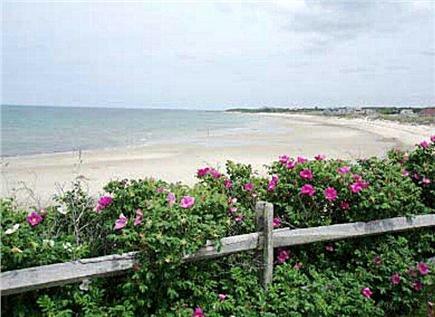 The location is ideal for enjoying some quiet time unwinding after a long day at the beach. The outdoor shower was by far one of our favorite features... I don't think we ever used the indoor one! I loved taking a run down to the beach in the morning, and returning just in time to beat the traffic to Mayflower (so close!!) to join our family and friends for a fabulous vacation. Dennis Public Market is right down the road and offered everything we needed when we opted to eat in (try the teriyaki marinated steak tips-- YUM)! Upon arrival, we found the house to be in great order... very clean and tidy. Our only disappointment is not being able to extend beyond a week long stay! Thank you so much for allowing us to enjoy your home! 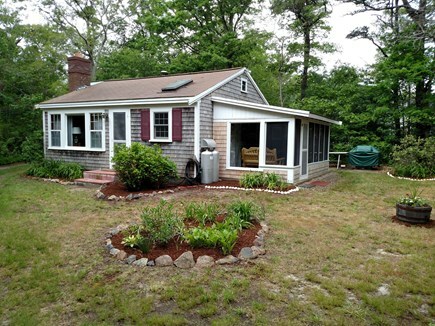 The small pine cottage was built by my father's own hands for summer rental income in the mid 50's. While nearly always let as a full season rental, it was taken off the market in 1983 for exclusive family use. Yup, we were selfish that way. But after moving to CT and my daughter not using it the prior year, we decided to try renting it again. 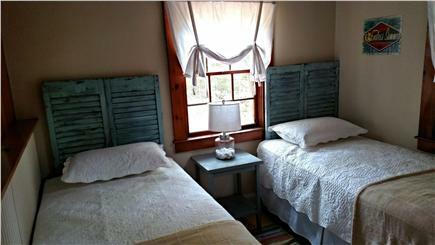 My wife Linda and I spent the fall of 2014 and Spring of 2015 renovating the place, which was a challenge with the 150 mile drive each way from CT. We were surprised to be fully booked and thrilled that we had such great, caring renters who appreciated the authenticity of our little gem. Check out the Reviews for feedback from our first two seasons. Location, location, location!! As our first tenant noted in her review, ''In my 35 years of vacationing on this same road, I never even knew this place existed''. 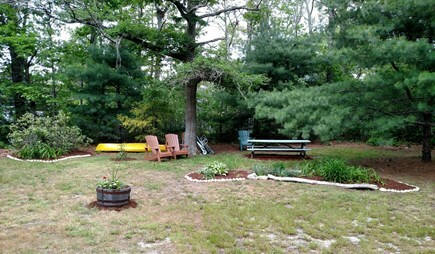 Only 250 yards from Dennis Public market and close to beaches yet tucked into the woods to allow you to forget the world and enjoy a quiet, private, secluded vacation with your family. Its a throw back to a simpler time, yet with amenities of HDTV and wireless internet when needed. Enjoy! 2016 was the 200 year anniversary of the cultivated cranberry....and it happened right in the village of Dennis less than a mile from the cottage. Check out my sister's website (developed by yours truly), for some of the history at www.anniescrannies.com. What else? Beaches, lakes, clam shacks, ice cream, beaches and did I mention beaches? Might have had a bearing on why my ancestors landed on Cape Cod in 1633....and never left. 13 generations and counting. Oh, and you better try renting our cottage over the next few years, because we're planning on retiring and moving back there before too long. Yup, then we'll be selfish yet again.